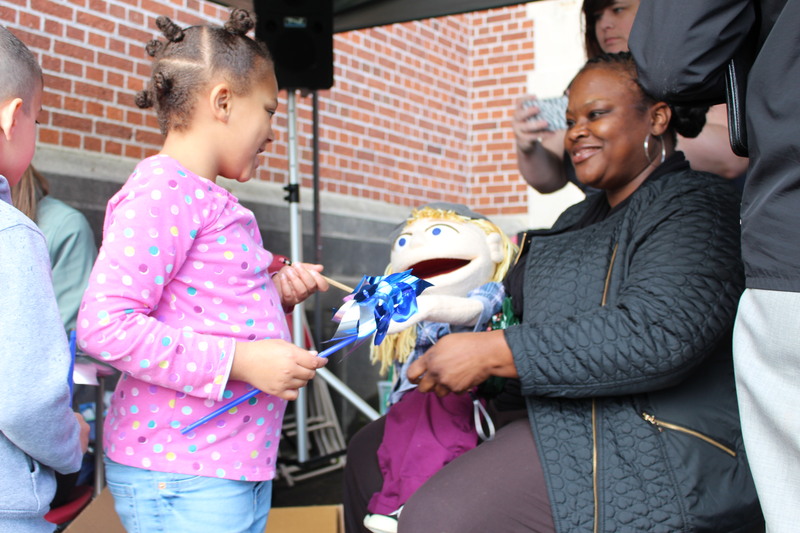 On April 4th, 2016, Impact NW partnered with Child Abuse Response and Evaluation Services (CARES) and Vestal Elementary School to host a Pinwheels for Prevention event, an event pioneered by Prevent Child Abuse America. The yearly campaign aims at raising awareness about child abuse and urges individuals and organizations to take action by learning more about prevention, supporting child and family friendly policies and services, and volunteering at the local, state, and national levels. 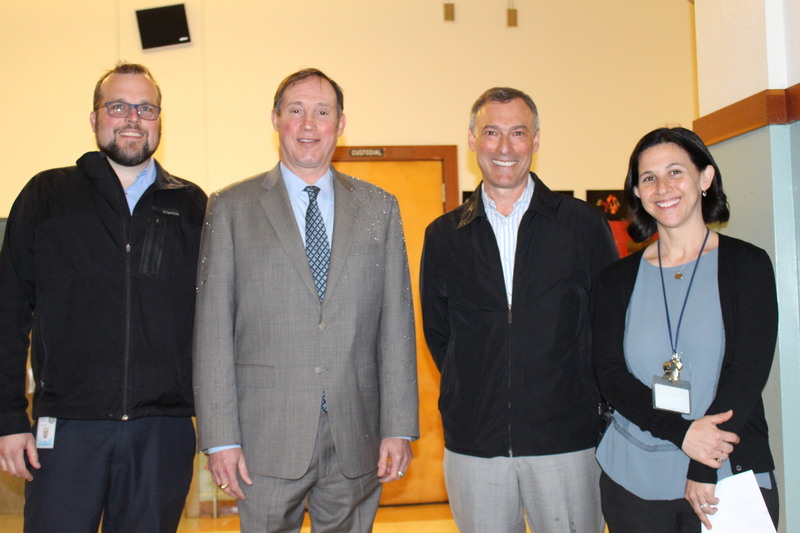 Speakers for our event included Ely Sanders-Wilcox from the Oregon Department of Education, Portland City Commissioner Dan Saltzman, Impact NW Managing Director Jeff Cogen, and Vestal Elementary School Principal Emily Glasgow. 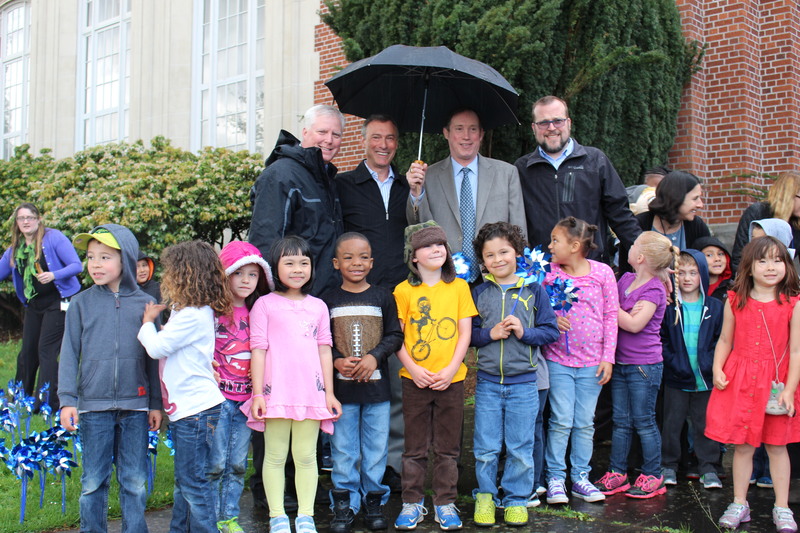 Speaking at our Pinwheels for Prevention event were (L to R): Ely Sanders-Wilcox from the Oregon Department of Education, Portland City Commisioner Dan Saltzman, Impact NW Managing Director Jeff Cogen, and Vestal Elementary School Principal Emily Glasgow. 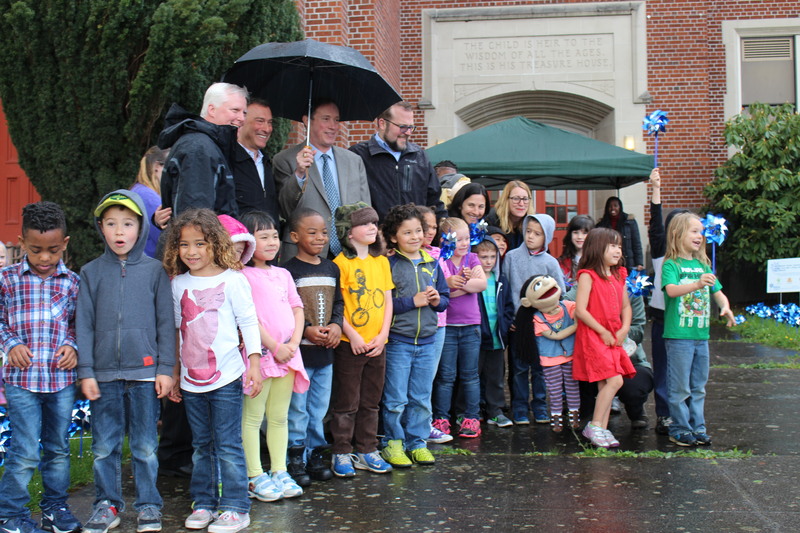 Thank you to everyone who braved the rain this morning to support Pinwheels for Prevention! 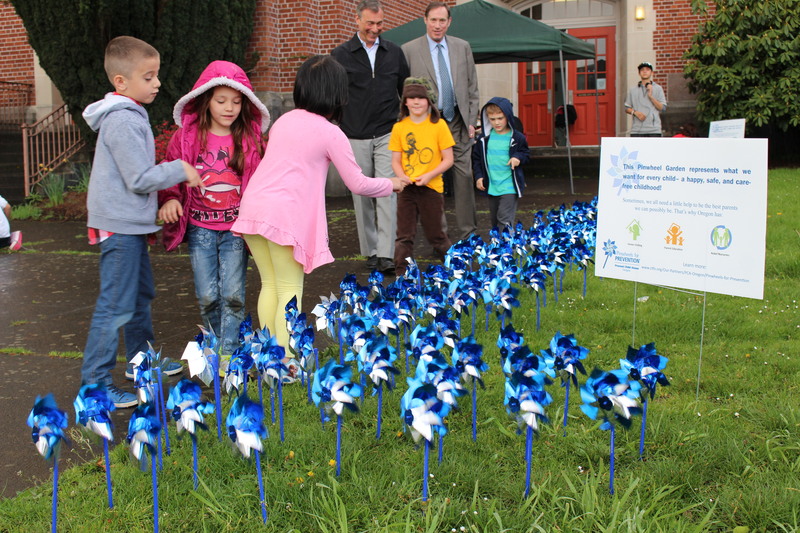 Thank you to PPS Vestal School Kindergarteners, Portland City Commisioner Dan Saltzman, Oregon Department of Education’s Ely Sanders-Wilcox, Impact NW’s Managing Director Jeff Cogen, CARES Program Manager Kevin Dowling, and Vestal Elementary Principal Emily Glasgow for supporting #ChildAbuseAwarenessMonth by planting pinwheels and speaking about this important topic. PPS Vestal School Kindergarteners cound pinwheels in front of their school. PPS Vestal School Elementary children plant a pinwheel garden outside the school. Pinwheels for Prevention is a national campaign by Prevent Child Abuse America and aims to celebrate the lives you touch and those who have touched yours by honoring them with a pinwheel. PPS Vestal School Elementary Kindergarten students brave the rain to plant pinwheels in support of Child Abuse Prevention Month. 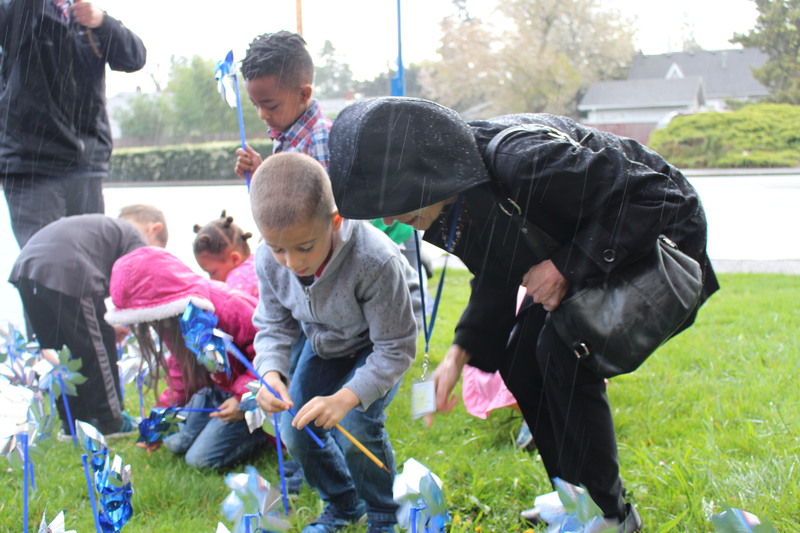 A PPS Vestal School Kindergartener receives a pinwheel to plant in support of Child Abuse Awareness Month. 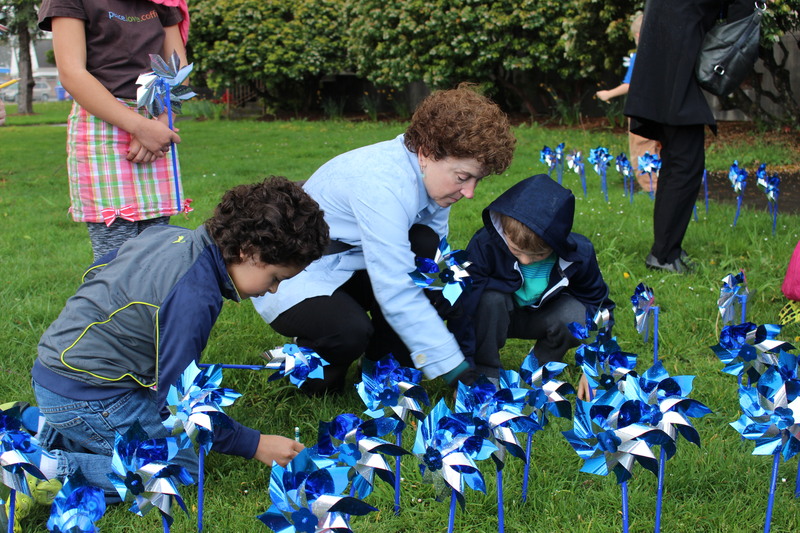 In 2008, Prevent Child Abuse America introduced the pinwheel as the new national symbol for child abuse prevention through Pinwheels for Prevention®.